It's the Final Sunday Puzzle, People. Let's Talk Tubers. The Martian is a book by Andy Weir about how potatoes will become the first food crop on Mars. 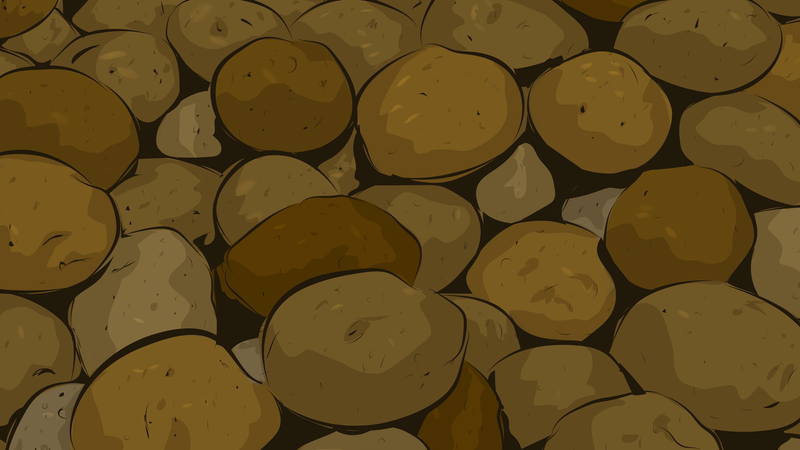 Alright, it’s about more than that, but anyone who has read Weir’s novel knows potatoes get plenty of mentions. Anyway, the point is: This week, in honor of Mark Watney’s space spuds, we’re featuring a puzzle about Martian tubers. Before we get to the puzzle, though, a brief announcement: This was my last week with io9 (I’ve written about my departure here), which makes this the last installment of Sunday Puzzle—at least for the foreseeable future. Writing this column has been one of the best parts of my time here at io9, and it’s been a pleasure watching you all work these brain teasers out in the comments. You folks are some formidable problem solvers; it’s been an honor to serve these up and watch you plow through them week by week. You have 100 pounds of Martian potatoes, which are 99 percent water by weight. You let them dehydrate until they’re 98 percent water. How much do they weigh now? My answer is 3 cards. This puzzle and others like it are all variations on a logic puzzle developed by psychologist Peter Cathcart Wason in the 1960s, and are called, rather appropriately, “Wason selection tasks.” You’ll find variations of them all over the Internet, and a lot of them are just a tiny bit different from one another, so you can test yourself to make sure you’ve really got the reasoning behind them down pat. This is a good place to start. I would flip over 0 cards. The puzzle doesn’t specify which sides. Instead of thinking about it as front side and back side, I instead look at the left and right sides of each card. From there, I can state that B is the only card with a vowel on one side (left). And since it also has an even number on its other side (right), I can conclude the statement is true.